After buying Smelt at the Asian market I was pretty excited to have found a cheap food source for my Lionfish. Silversides are a dollar per ounce and Smelt (Smelts?) are under 20 cents per ounce. 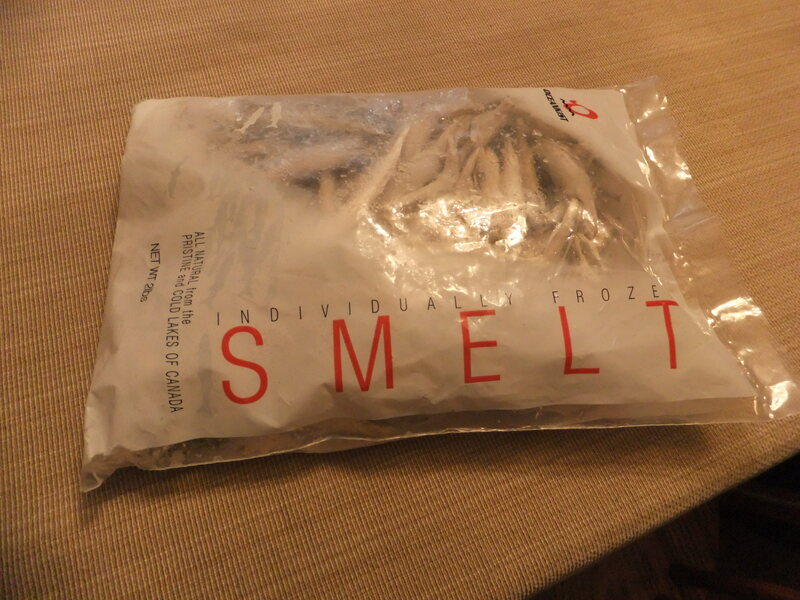 On the same night I bought the Smelt I also stopped at the grocery store. I had a craving for potato chips. I almost NEVER eat potato chips but I could not resist. 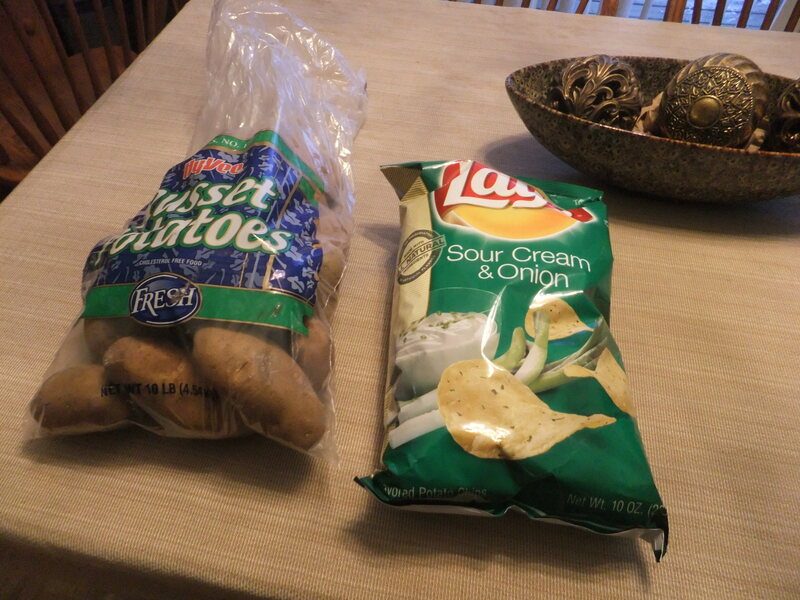 I bought a bag of Sour Cream and Onion chips for $4.50. A Ten Ounce bag of potato chips cost $4.50. In comparison, I bought a Ten POUND bag of potatoes last week for $2.50. I should be a Potato Chip tycoon. So I am saving some bucks on fish food then I go and blow it on those chips. Let’s get back to the Smelt Story. I was confused whether the Smelt were actually Fresh or Salt water fish so I was Googling about and I started to find RECIPES for Smelt. When I bought the Smelt, the young fellow at the cash register looked at them and said “Those are good!”. I smiled, like I knew how good they were. Yummy, yes, they are so good. But I just paid my 5 bucks and walked out. 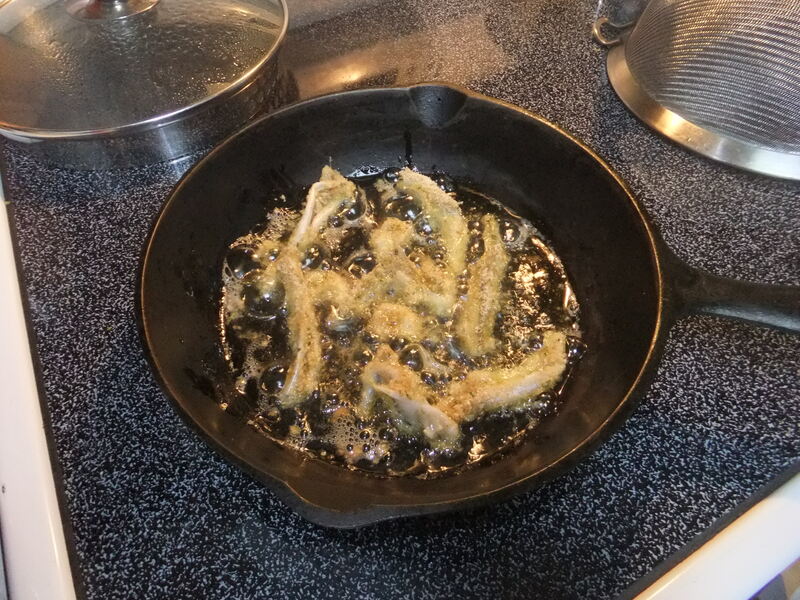 After seeing so many recipes I made a decision that I was going to eat some of these damn Smelt. But they were smelly, fishy, and they look like baitfish to me, they are only about 4 or 5 inches long. Plus when I went to feed them to my Lionfish they were full of eggs. The yellow stuff are eggs. Is eggs. Whatever. I knew I had to go back to the grocery store…this time for beer. I was going to eat some Smelt, but it would take few beers to convince me. Now, eating Smelt is surely no big deal in most parts of the world but here in Iowa we are beef and pork eaters, which explains why we croak from heart attacks and strokes. 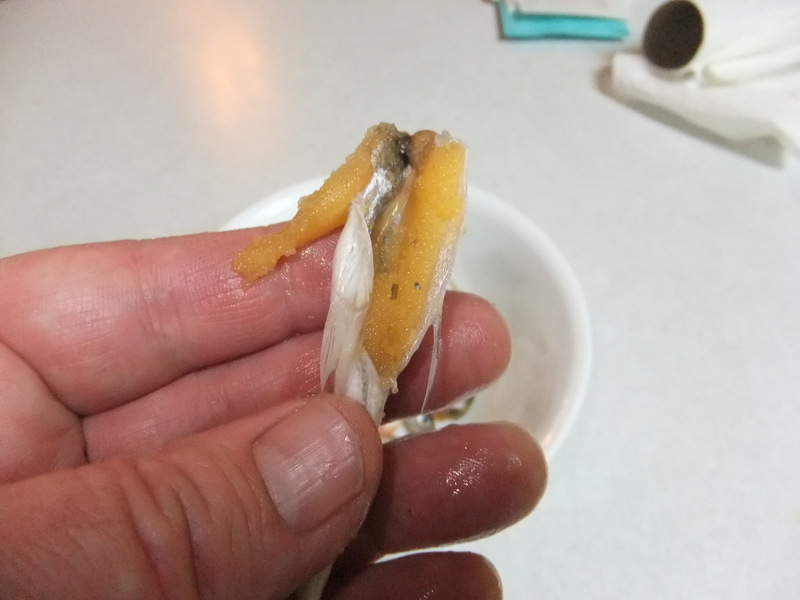 After a few beers I thawed out a handful of Smelt, that is, about seven Smelt or so. Then, I cut off their heads, slit open their bellies and cleaned them out. Out of 7 fish, 5 of them were full of eggs. It makes me wonder about people. We catch fish right when they spawn. Just like Crappies and Bluegill in Iowa, we go fish for them while they are are breeding. I think the beer had dulled my senses enough that gutting these little fish didn’t bother me a bit. I washed them off, swished them around in some salad dressing, then an egg, then some Italian bread crumbs. 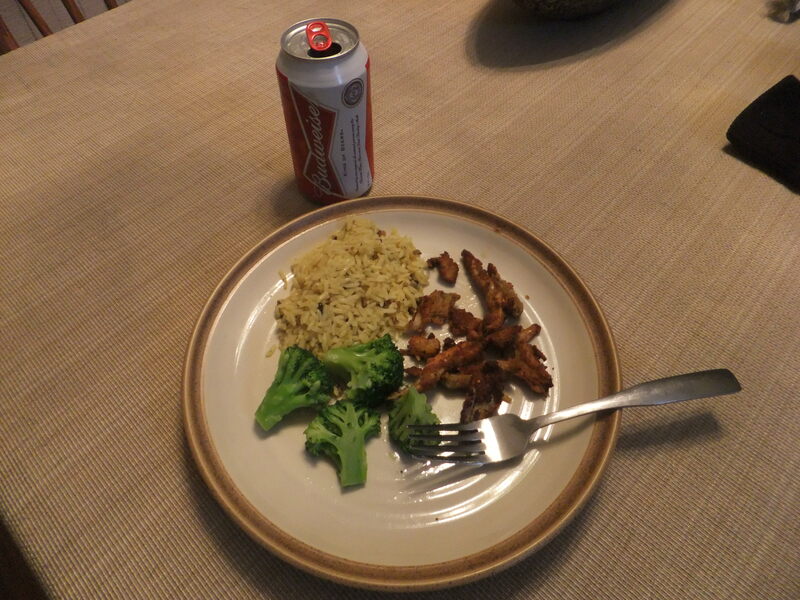 I already had rice cooking, plus I steamed some broccoli, continuing to drink the beer and “Voila”, a meal fit for a King. 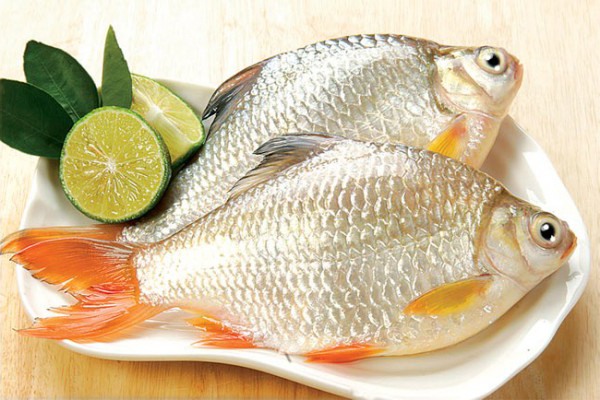 So I had a good dinner, my fish will eat the heads and eggs of the Smelt, and nothing is wasted. Maybe I’ll try sprinkling some Tetra-Min on my cereal. As my Lionfish depletes the Silverside minnows, I have been intending to get to the Asian market and buy some frozen Smelt. Tonight I did just that, stopping after work and finding a 2 pound bag for $5.40. I was thrilled. Compare that to about a dollar per ounce for Silversides. The Smelt are under 20 cents per ounce. 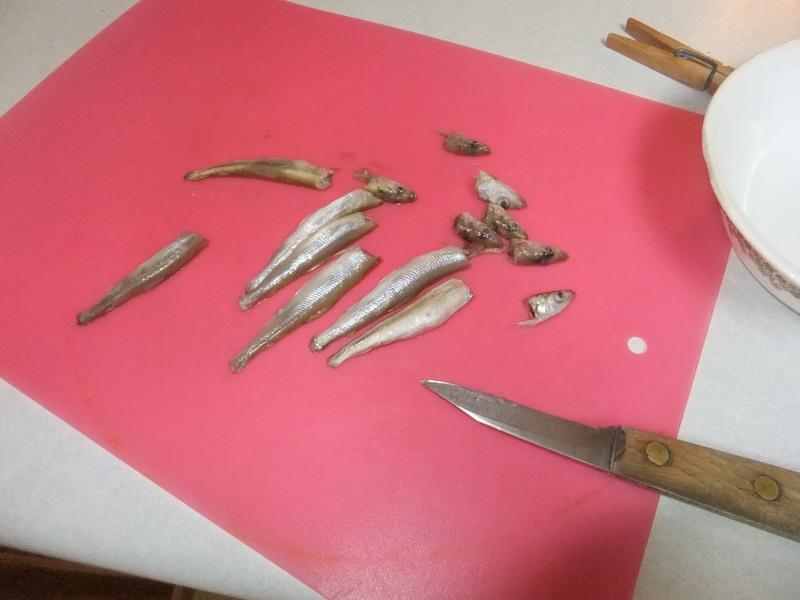 The Smelt are much larger than the Silversides and when I got home I noticed the bag said Canadian Lake Smelt. I had a lot to learn about Smelt. Are they freshwater? I thought they were saltwater, and I want saltwater fish to feed my saltwater Lionfish. 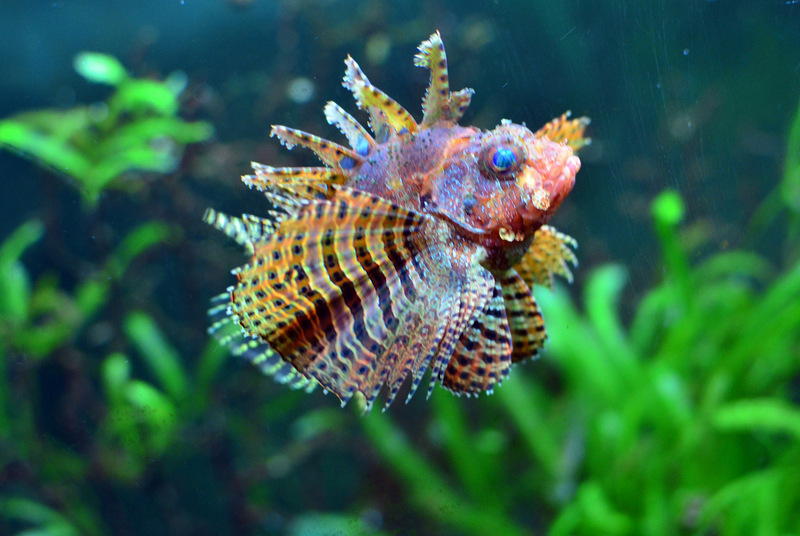 As I have mentioned before, it is imperative that a Lionfish eats saltwater fish. The fat content of freshwater fish like Goldfish and Rosy Red Minnows is not healthy for Lions. I thawed out a few Smelt in a bowl of cold water. I picked the smallest one and sliced it lengthwise, making it about the same size as a Silverside Minnow. I took it over to the Saltwater tank and swished it around the surface of the tank, trying to get the Lionfish’s attention. He must not be very hungry tonight because he ignored it. As I swished the fish around, many little eggs went floating out into the water. The Clownfish and Royal Gramma started snapping them up! Smelt is also served in Dim sum restaurants deep fried with the heads and tails attached as Duō luǎn yú (多卵魚), which loosely translates as “fish with many eggs”. Cool, “Fish with many eggs”. So why is that? It appears that at least some species of Smelt DO live their lives in the Ocean but they go to freshwater lakes to spawn, where they are captured, hence the captured ones may be full of eggs. So far I have only one fish to go by! Not Goby, which were also for sale at the Asian Market. We have a popular Fish Market/Restaurant in town but they have NOTHING compared to this Asian market. I can’t wait to go back and buy seafood there. 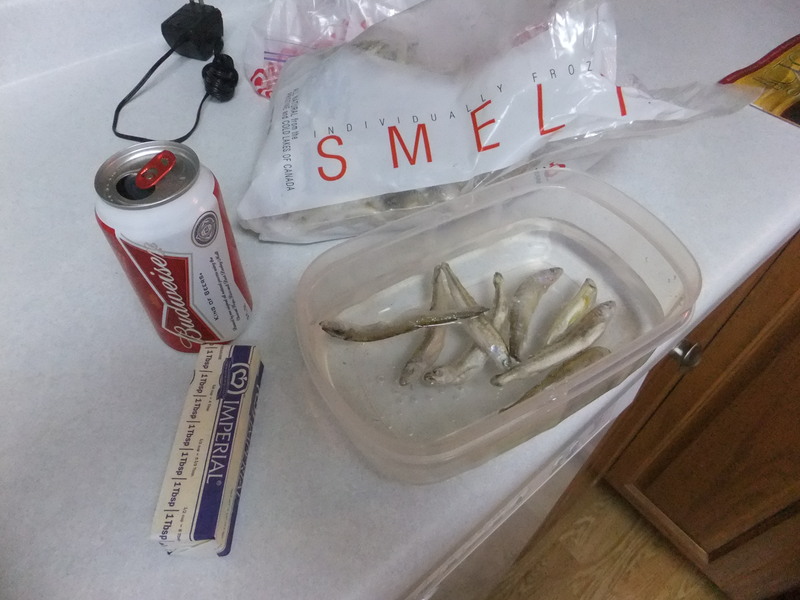 Stay tuned for Part Two of The Smelt Story, which involves Beer. Not so skinny now. "Burrrrp." The smallest frog I brought in for the winter is getting too skinny. Tonight I stopped and bought some crickets, then put the frog into an empty 10 gallon tank. I added about 6 crickets and a shallow dish of water. He can eat without any competition. 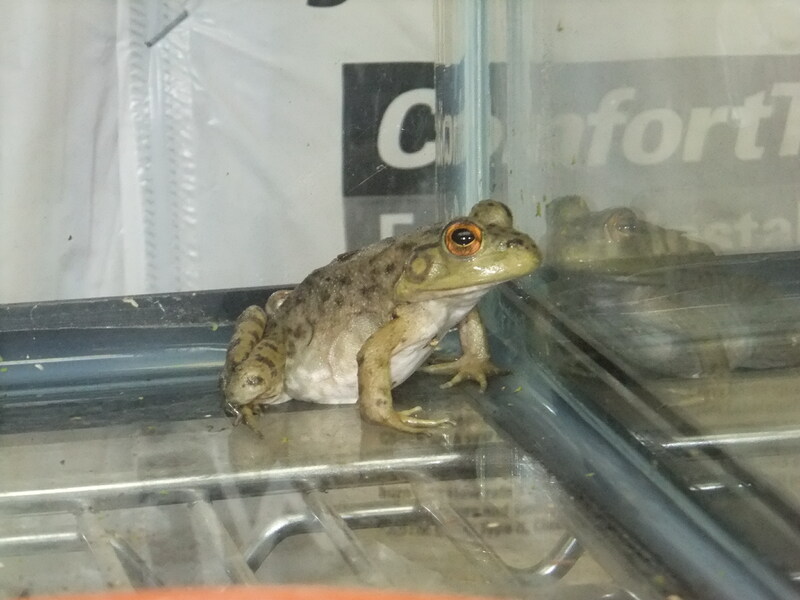 I’ll make sure to separate him from the other frogs every week and see that he gets plenty to eat. Not the Glo-Fish (Zebra Danios) that we all know about, I am talking about the Glo-Tetra. 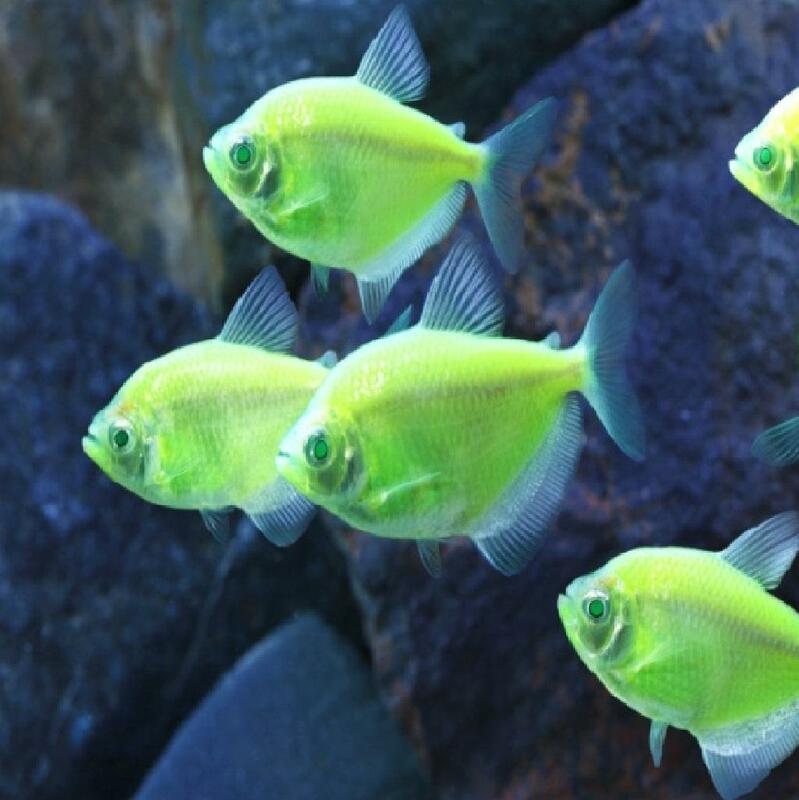 I was just at PetCo buying some crickets and there was a tankful of green glowing fish. I thought the body shape was that of a Black-Skirt Tetra. Found photo on The Planted Tank website. Sure enough, they displayed the scientific name Gymnocorymbus ternetzi and then I knew that they are genetically engineered Black-Skirt Tetras. They were priced at $9 each. 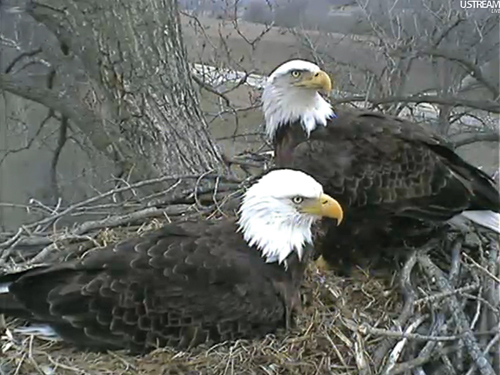 The World-Famous Decorah Eagles are back! The two most famous residents of Iowa are a pair of Bald Eagles that were an Internet sensation last year. They are back on the nest and have laid two eggs. It’s snowing like heck where I am right now and about 100 miles North of here the Eagles are dry…so far. Watch them for awhile, it is beautiful and soothing and inspiring and you will really be amazed when the babies start hatching. It’s drama. So the answer to “Contest Three: A Fishy Problem” was The Tinfoil Barb. They are active and pretty and eat anything, BUT they get huge! A 55 gallon tank is probably the smallest you should ever have them in, and the filtration should be strong. I haven’t found any pics of when my Tinfoils were at their largest so I will break my own rule and show you a pic from the Internet of big Tinfoils. Wrapping these in Tinfoil would be redundant. Also, here is a thread on The Planted Tank site that shows many common aquarium fish that get too big for most hobbyists. Look at this tank. 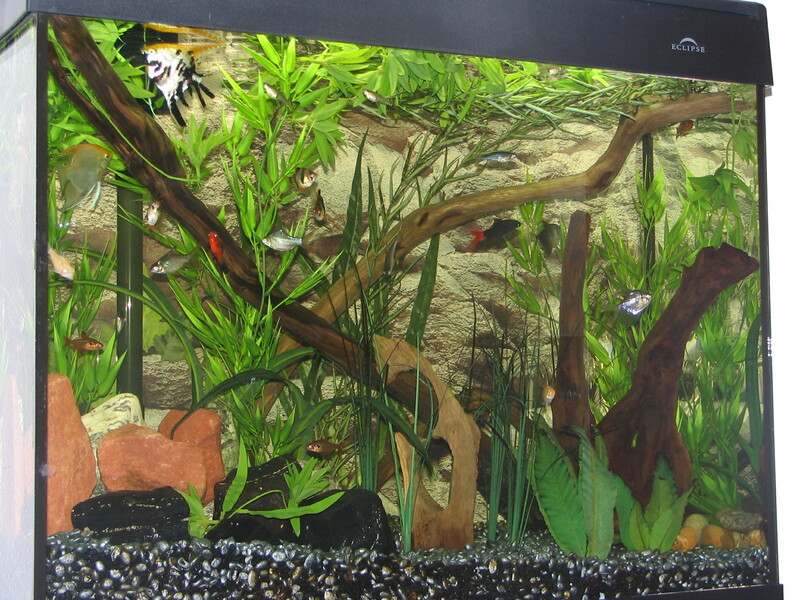 It’s a community tank of fish, with a bunch of fake plants, that I had set up several years ago. There are some very questionable things about this tank but can you name the single biggest problem that developed with this group of fish? I have one particular thing in mind as the “Winner”. There really are several possible problems so don’t be afraid to guess!